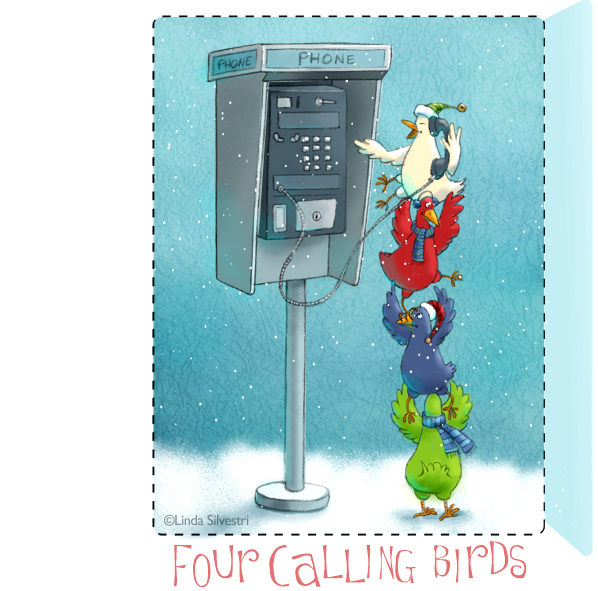 advent calendar – day 24 – fin! Weeeeeee! It’s Christmas Eve!!! My favorite day of the year. Woooo hoooooo! Why is it my favorite? Well, for one, I’m done with my project… and don’t get me wrong, it’s been a blast, but… let’s just say, a little rest is in order. 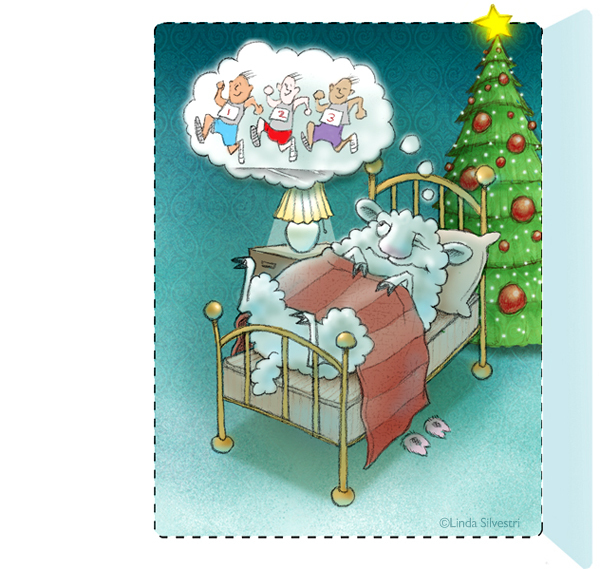 Also, for me, Christmas Day can never live up to the fun of anticipating it. That’s where all the magic is for me. In fact, I’ll be up all night with my Canon G10 waiting to catch Santa in the act… yeah, that’s right you doubters, I still believe, and I aim to prove it! 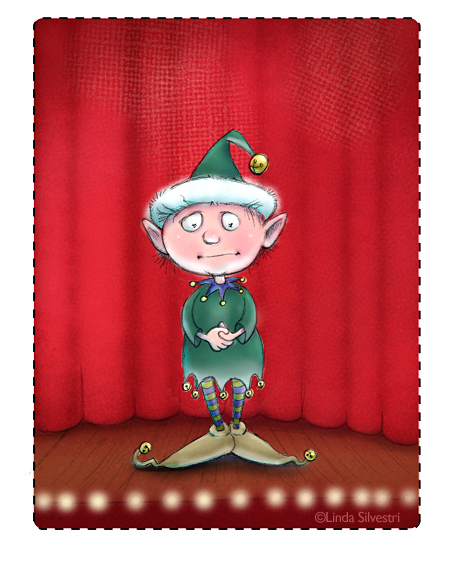 Um, yeah, it’s me again… the advent calendar spokes-elf. Sooooooooooooo sorry. Seems I’ve been informed of yet another incident, involving several burnt cookies and a broken ornament… don’t ask, it’s not pretty. My sources have once again assured me that tomorrow a grand finale of sorts will ensue. Merry Christmas to all and to all… unburnt cookies and fully intact ornaments! So many things would be left undone, if we didn’t at least try the seemingly impossible! So the Illustration Friday word for the week is “undone” and after shopping, wrapping, cleaning, baking and illustrating, I’ve pretty much done as much as I can possibly do today. Stick a fork in me. I’m done! Hey, just want to say to all you dear, dear folk who have stopped by, especially the ones who have left comments and encouraging words, a big giant THANKS to you. It means more to me than you know! Thank you, thank you, thank you!! … and for those who haven’t, be sure to check out Day 1, Day 2, Day 3, Day 4, Day 5, Day 6, Day 7, Day 8, Day 9, Day 10, Day 11, Day 12, Day 13, Day 14, Day 15, Day 16, Day 17, Day 18, and Day 19. 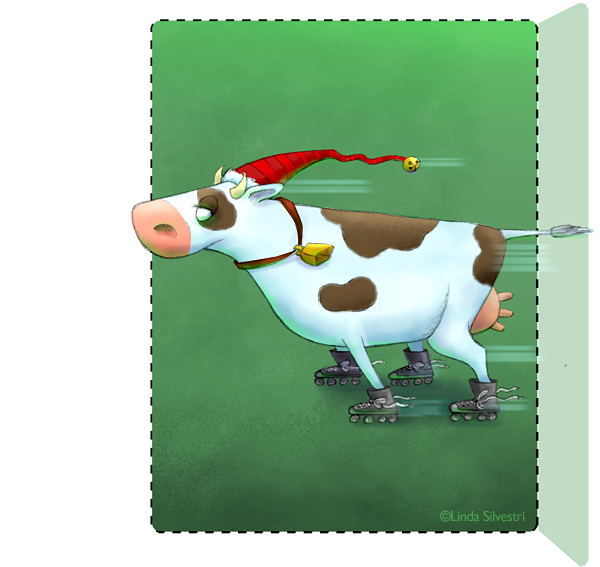 Daffodil had obviously never heard the term “awkward as a cow on rollerskates.” In fact she seems quite comfortable hauling udder as she tries out the new inline skates Santa brought her. Ahem… excuse me… I have an announcement to make. Allow me to introduce myself. 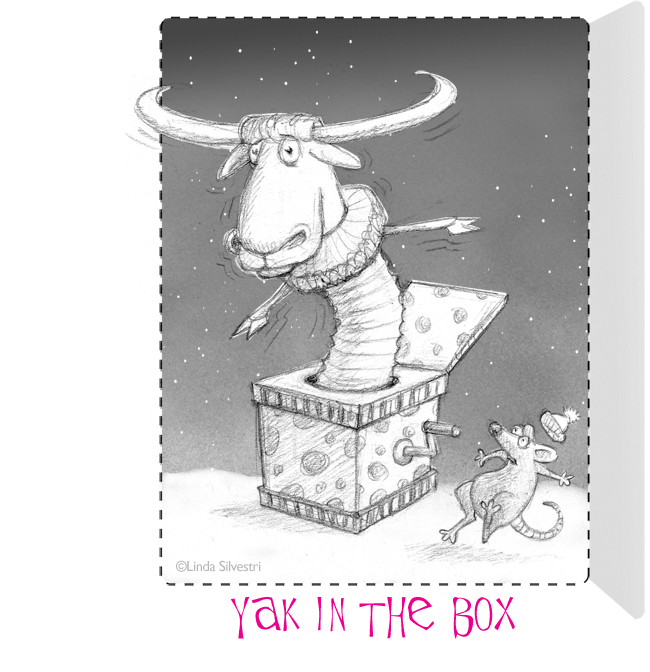 I am the spokes-elf for the author of this advent calendar. I have been informed that due to an unfortunate eggnog incident, there will be no day seventeen art tonight. 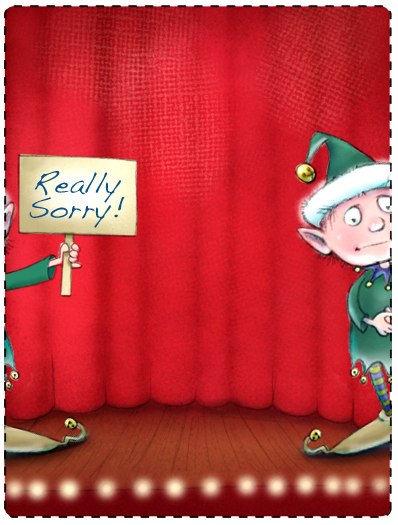 I’ve been assured by sources close to the author that after a bit of the nog that bit her… I mean… ahem… beginning tomorrow the calendar art will resume at it’s regular time.